Researchers at the University of Southampton are set to investigate using 3D printing, or additive manufacturing, techniques in the fabrication of optical fibre. This entirely new way of making fibre could pave the way for more complex structures capable of unlocking a host of applications in a wide range of industries, from biotechnology to aerospace and telecommunications. Current techniques used to produce optical fibre preforms - the piece of glass from which an optical fibre is drawn - give a consistent structure along the length of the preform but make it difficult to control the shape and composition of the fibre in 3D. This limits the degree of flexibility that engineers can exercise in the design of the fibre and as a consequence, the capabilities that the fibres can offer. The new technique, being developed by Professor Jayanta Sahu, together with his colleagues from the University of Southampton’s Zepler Institute and co-investigator Dr Shoufeng Yang from the Faculty of Engineering and Environment, will allow engineers to manufacture preforms with far more complex structures and different features along their lengths. 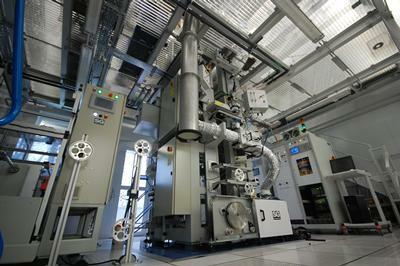 The making of the preform is one of the most challenging stages of optical fibre manufacturing, especially when the preform has a complex internal structure, such as in photonic bandgap fibre - a new type of microstructured fibre, which is hotly anticipated to revolutionise the telecoms and datacoms industries in particular. Currently, most microstructured fibres are made using the labour intensive ‘stack and draw’ process which involves stacking several smaller glass capillaries or canes together by hand to form the preform. However, using the new additive manufacturing technique, the researchers will be able to form complex fibre structures from ultra-pure glass powder, layer-by-layer, gradually building up the shape to create a preform several tens of centimetres in lengths. There are numerous challenges including the high melting temperature of the glass (over 2000˚C in case of silica); the need for precise control of dopants, refractive index profiles and waveguide geometry; and the need for transitions between the layers to be smooth, otherwise the properties of the resultant fibre will be altered. 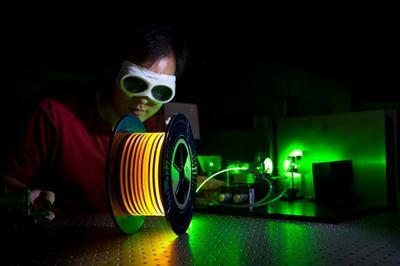 As part of the project, funded by the Engineering and Physical Sciences Research Council (EPSRC), the researchers will be working with three companies: ES Technology (Oxford, UK), a provider of laser material processing systems; Fibercore (Southampton, UK) a supplier of specialty fibre; and SG Controls (Cambridge UK) a leading manufacturer of optical fibre equipment.